As we roll into the better half of the work week, our Bass Network team has finally had the chance to take a breath, decompress, and gather our minds after three purely insane nights at Red Rocks. The three-day extravaganza was filled to the brim with Bass Network special ops, Ambassador interactions, and TONS of no-repeat music! 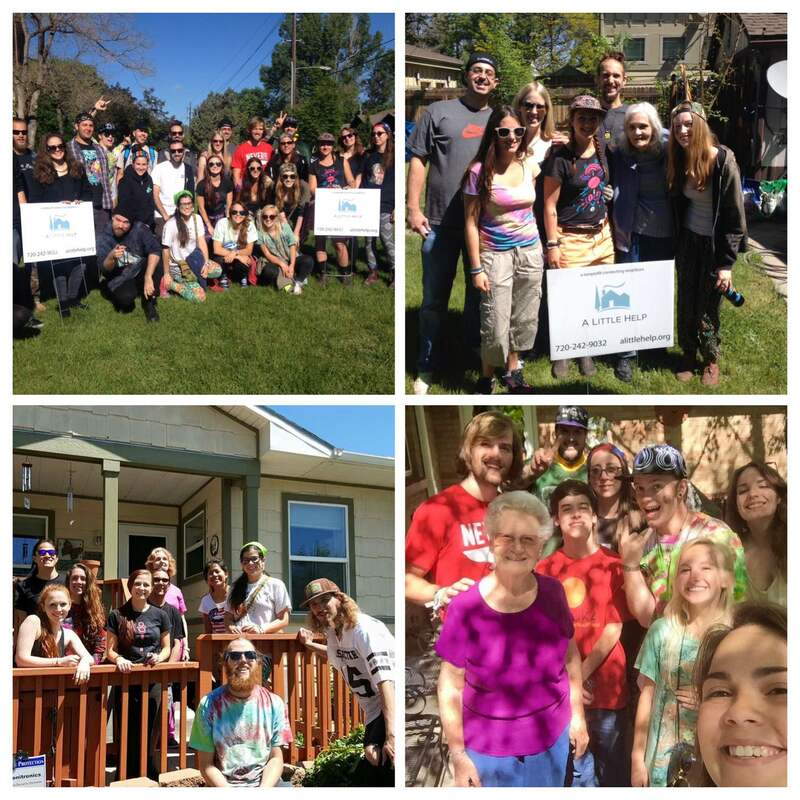 Still gleaming and smiling at the thought of last weekend, we decided to recap some of our favorite memories. 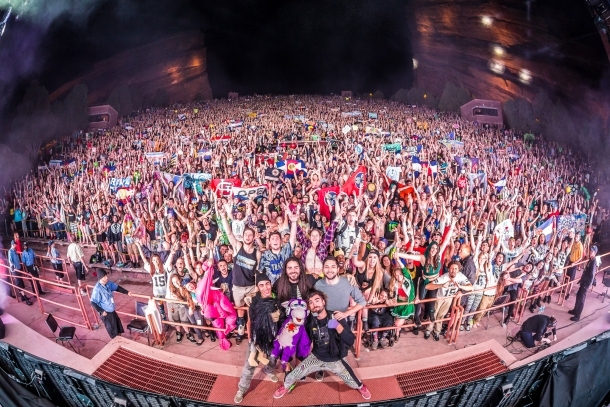 Several weeks leading up to the Red Rocks event, we launched our Red Rocks Pen Pal campaign. The goal was to link up Bass Heads from opposite sides of the country via Twitter, in hopes that a new friendship would blossom. Expecting about twenty pairs of Pen Pals, we were blown away by the positive response – matching over 150 pairs of Pen Pals! 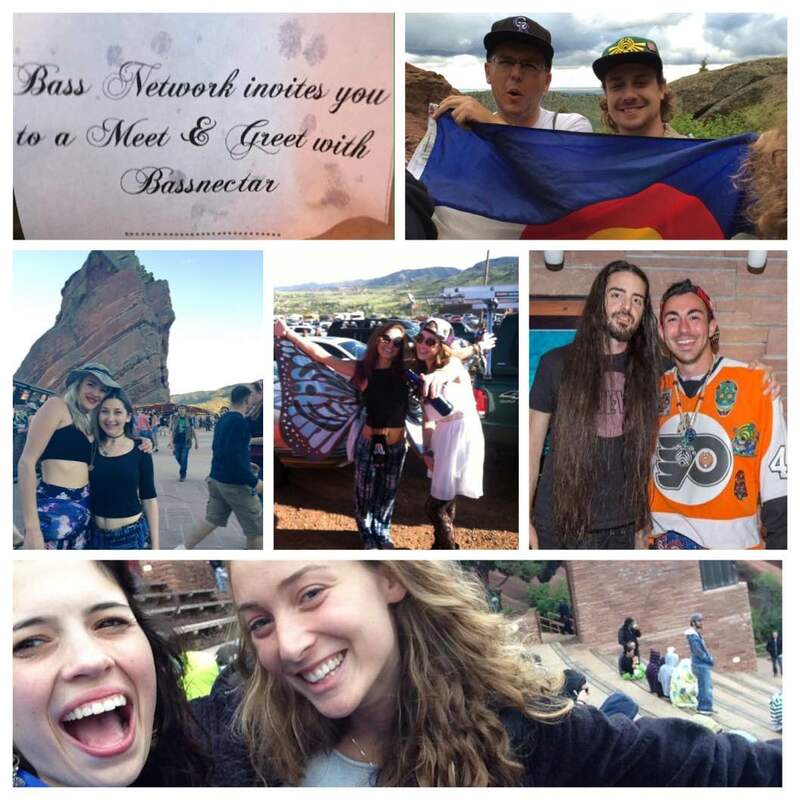 To make things a little sweeter, any Pen Pal group that sent us a photo of them meeting up at Red Rocks was entered for a chance to win a Meet & Greet with Lorin! Though the Meet & Greet was just an added cherry on top, the beautiful friendships we witnessed were truly the entire sundae! Overall, three nights at Red Rocks was the perfect way to close out the month of May. It was a pleasure having Bass Network in full effect – helping out those in need inside and outside the shows, connecting strangers in positive ways, and adding a little extra community love to an already beautiful showcase of community.